1. Starting small does work. Jesus’ example of beginning with only twelve disciples reflects his many examples of how the Kingdom grows from a single seed or small lump of yeast. I have seen a single ‘good seed’ (a key person of peace), with a heart for God, begin to multiply his influence among one and then another and then another until, over time, many around him had also become good, fertile, reproducing seeds. I have seen hundreds and then thousands of people’s lives touched that started with such a single seed, seemingly small and insignificant, but patiently planting the Kingdom life in others. As an aside, such an impact generally involves keeping processes, such as church gatherings, as simple and unencumbered as possible. 2. The DNA of obedience to Jesus does lead to multiplication. I don’t want to divorce disobedience from a love relationship with Jesus as I believe these go hand in hand. But when that love for Jesus translates into the obedient longing to go and invite others into the Gospel life, this becomes the core for seeing disciples reproducing disciples, simple churches reproducing churches, and leaders reproducing leaders. 3. Heart, passion, and kingdom vision trump big money and big programs every time. Africa is filled with big money that has been thrown at big programs and projects. I am not demeaning any of these efforts. I’m simply commenting that the Gospel was never an enterprise that required money to spread, influence, and change lives. And I am continually impressed by how much power is in the Gospel to do just that when faithful people, armed with nothing but the Word of God and the Spirit of God, move and work by faith. God is more able than we sometimes give Him credit for. 4. Living with a clear view of eternity is a dynamic and thrilling way to live. Many of my friends in Africa simply live closer to eternity than many of my friends at home (myself included). Much of this is no mystery since they are people who are less encumbered by the things of this world and very aware that their lives, here on earth, will never be filled up with material goods. They simply have less. But the result is that their passions and visions are often highly focused on Kingdom concerns and it shows in the way they organize their lives around those things that make an eternal impact. To miss a meal, for example, because of a God-assignment is often no big deal. The latter easily outweighs the former. Or to take risks for the Gospel that we might consider unwise or unsafe is often not even questioned. The result is a life of faith-living that often goes beyond my own comfort level, but which clearly results in a deeply satisfying, God-engaged kind of life. 5. Blessed are the poor in spirit for the Kingdom of heaven is theirs. Wherever such people are found, you can be assured there will be a harvest. Certainly, in Africa, there is a great abundance of those who are poor and poor in spirit. Such people represent a very fruitful harvest field. But I believe the same field exists in every part of the world, including our own neighborhoods, if we are willing to seek out such people. They are in our backyard and they want/need the light of the Gospel. One of the most difficult things to communicate regarding simple/house church is that we really, really do not want to just re-invent a new (or ancient) form of church. Instead, we are seeking to re-capture the essential “church life” that Jesus taught—a way of life. We are, at the core, radical Jesus-followers lived out in the context of everyday life, not church-goers. The form (when and how we gather) should, simply and fluidly, support the dynamic life that Jesus’ lit-up followers are living and not replace it. "If there is a method in the NT church, it would be one based on life: humility, brokenness, love and faith." "When we raise up a church, we rarely if ever talk about form. We do not talk about the wineskin. We give the people the wine. We preach Christ. We give them Christ. We show them how to know Christ. Out of that emerges naturally the ekklesia." We have been programmed in our mechanical culture to do just the opposite. “Build the structure and the people will come.” Planning, building, and organizing is so engrained into our way of life, that we are certain that if we put the externals in place then life will flow. I am not saying that we cannot learn a thing or two, from one another, about how to gather: letting the Spirit lead and releasing the spiritual gifts of the entire community. But I am suggesting that we cannot start there. I am suggesting that when these “how tos” become the focus, we are back to elevating form and we will snuff out the life. Structures are meant to support life. When they become the focus then we will soon find ourselves following an external form of religious practices instead of following Jesus. Before long, the structure itself replaces the living relationship and power of the Christian life. 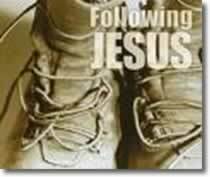 The dynamic life of a Jesus follower will multiply from one disciple (follower) to the next. Voila! Simple church is birthed.